I’ve been looking for an official announcement of the Burda Plus magazine on the Russian website, so I was a bit surprised when it arrived in the mail and I hadn’t seen a full preview posted for it anywhere. Turns out the German Burda site has the patterns up for sale, even though the Russian site doesn’t have the magazine posted at all yet. Not that it much matters – most of the designs are either reprints from the monthly magazines, or riffs on the old designs. The Burda Plus subscription always feels like a bit of a gambol – I never know if I’m going to get new patterns or not. 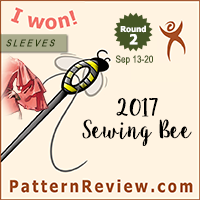 This time it was mostly not new patterns, though the ones they did select were from some of my favorite collections in recent releases. I feel like we had this maxi in another release? But I really like it. A definite stand-out in this issue. I think we’ve had this before? Love this pattern though. Also love the trench coat version. I know this pattern is a reprint, but I loved it the first time and I love it this time too. I seriously need to make some pants. And that’t about it! Not too much commentary – as I said most of these are reprints, or variations on reprints from the monthly magazines. So, not really anything new, but I think Burda did a good job selecting styles that are fashionable and parallel the trends they’ve been following in their regular issues. If you already own the regular magazine this issue probably isn’t worth too much interest, but if you only go for the Burda Plus then I think this is actually a really great issue. Yeah I’m always floating between the regular and plus sizes, so I can usually scale patterns up or down to fit me if I really like them. I also like looking at these patterns for my sister who always looks great in stuff I sew for her. 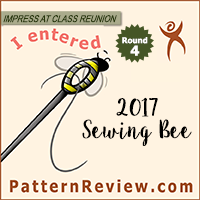 I am a 54 so I have to up size most of the patterns a size but they fit correctly for me without any major adjustments. Except for pants. LOve the burda plus magazine.